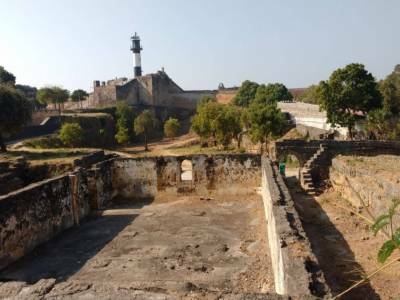 The Diu Fort was built by Portuguese during their Colonial Rule of Diu Island. 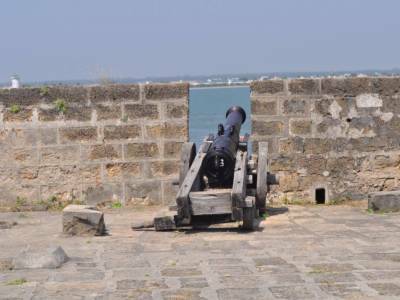 The Fort is witness of Portuguese rule during 1537 to 1961 i.e. 424 years, the record time of any Colonial Rule in the world. The Die fort is close to Gujarat state western border with clear views of the high seas. 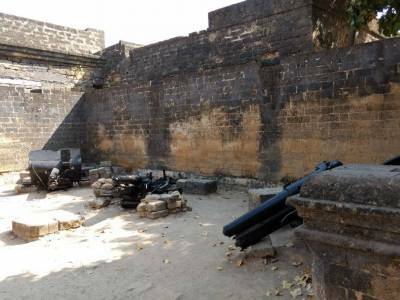 Diu Fort has many number of canons left over by Portuguese navy and have some impressive stone walls, weapons stores. Now some part of buildings in diu fort are used as the local jail. There are nice views of the town and coastline from the top of fort. 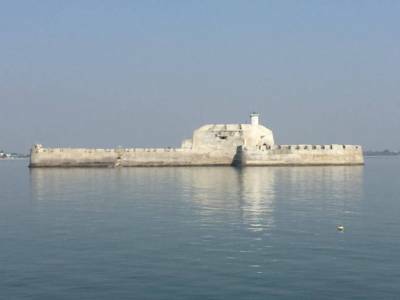 The most interesting view is of the Pani Kotha island which is also heavily fortified and looks more like a ship or submarine than an island. It looks like a very strategic point as it can control within cannon fire range on both sides the access of all ships into the gulf area where is very good shelter for bad weather in calm waters protected naturally. This is very big place and needs 4-5 hours to walk through the history. 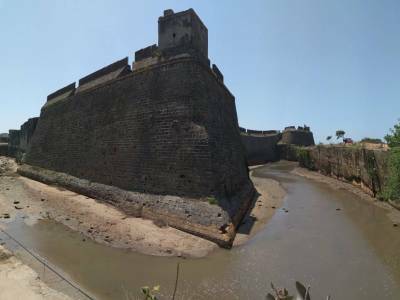 The best time to visit in Diu fort is in the afternoon late or evenings, as its too hot in the day time. Diu tourism is carrying out huge campaign to attract more tourists, improving upkeep of such monuments will certainly go long way with tourism. Get quick answers from travelers who visit to Diu Fort.